Victoria Station, Trinity Way, Manchester M3 1AR. 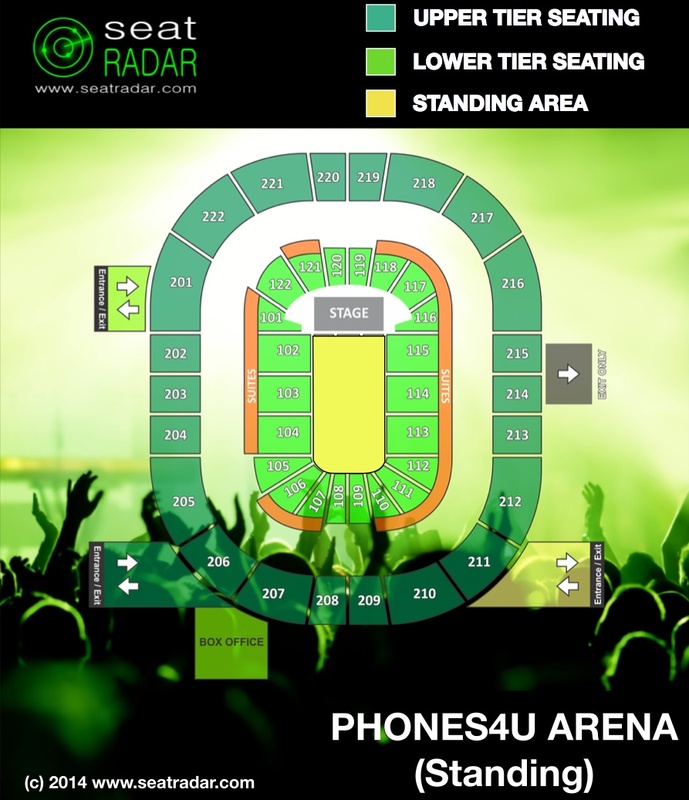 For more information check out our Phones4u Arena, Manchester: FAQs below! If there are any questions we haven’t covered, please leave a question in the comments section. 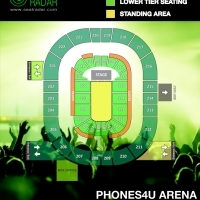 See the layouts for the Phones4u Arena seating plan in our gallery below. (Click on images to enlarge). 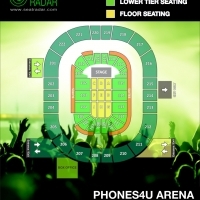 What are the best seats at the Phones4u Arena? What is the view like from Block [...] of the Phones4u Arena? Are these good seats? 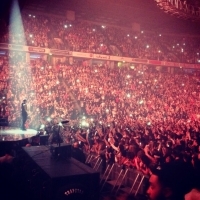 Have a question about the Phones4u Arena? Leave a comment below and we’ll do our best to help! We’ve had a few queries about the codes on printed tickets, so here’s a glossary we hope you’ll like! Hi, booking tickets and have been offered section 213 row J seats 28 and 29 . When I went on seating plaNsays row ends at 29. Willwe be seatedtogether ? and are they good seats ? Hi I am taking my daughter to see Little Mix on the 21.11.2017 my seats are BL204 row P Seats 25-27. Can you please tell me if these are alright seats or is the view limited ? my daughter is only young you see. Hi there, do you have any pictures taken from block 217 row R? I’m on BLOCK: 122, ROW: U, SEAT: 16,17 for Green Day. I’ll be in the worst place to see the concert, right? 214 row G seats 11-12, 208 row F, 211 row A, 210 row B, 209 row B, and 202 row N. Thanks! 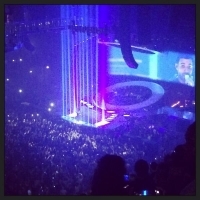 Hi, i booked Drake tickets today and was wondering if block 213 has a good view of the stage? Hi, I booked tickets to the olly murs gig in 2017 and I am in BL 202 row E seat 8. Is that good or bad seating? Will I be able to see the stage and olly OFCOURSE?! thanks for your time and Im so excited for the gig!! Hello! I have tickets to see 5 seconds of summer on the 22nd and 23rd of April. On the 22nd I will be in block 103 row N and seat 26 and on the 23rd I’ll be in block B row J seat 16. Im really confused where I’m sitting since I’ve never been to a concert before and I am going on my own. Thank you so much. I have Justin Bieber Seats, Block 101 Row Q Seat 9-10. I’m worrying these aren’t good seats and the view is really restricted? 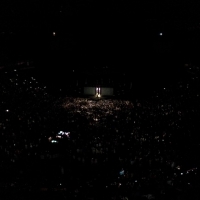 I was in Block 101 Row M when I saw Adele and had a good view of the stage, the view was only very slightly restricted when pictures came on the big screen, it didn’t affect the show as Adele was out front the entire time. 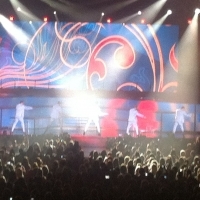 Even if Justin Bieber has a different stage set up you should still have a good view. Hi what seat numbers did you have I have row j seats 7&8 these ok ? For a boxing match, is block 104 row v, seats 15 and 16 any good? Would like an honest opinion before I go ahead. Hi I have tickets to see Kevin hart and my seat are block 113 row K are they way good? How good are seats in Block A row G? 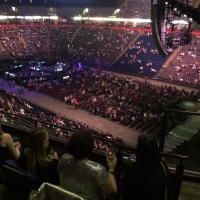 Hi there, I have bought tickets for Take That at Manchester arena in BL 116 row X 17,18,19. I’m worried these are going to be bad seats? It didn’t say restricted view when ordering but I’m stressing now. 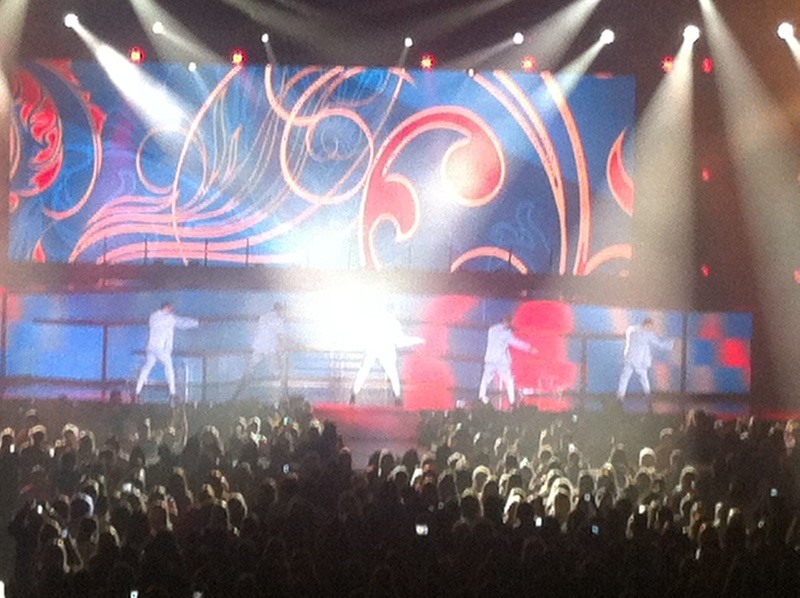 Only good thing I suppose is that Take that move out from the stage a lot…? 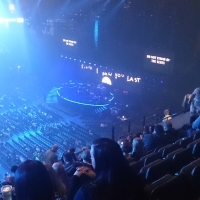 Hi Helen, a friend of mine went to manchester arena thursday night to see take that and she was in block 116 she said it was a little restricted but still amazing she wasn’t as high up as row x though so it will probably be a better view being on the back row. I have seats for take that 29/05/2015 in block 116 row x seats 11 12 13 are they good seats or are they restricted in any way. I have tickets to see Take That. On my tickets it says : Standing 22/42 on one and on the other it says :standing 22/41. Are these general standing tickets ? And if so it says doors at 18:00. What time would you suggest queuing to secure a good position. Hello I’m seeing wwe raw in November and can I please get some help. Bought me and my girlfriend tickets were on 214 row c seats 3 and 4. Are these seats crap it came to 150 pound and I’m a huge fan and would be devastated, from sunderland and never been to manchester? Hi there, we just booked the tickets 3 4 row L at block 116 seeing Maroon5 this June. 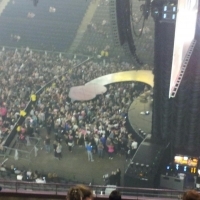 That’s the best we can get with lower tier, so please advise us if our view is limited, thank you! I’m looking to buy a couple of tickets for Fall Out Boy. Would Block 212 row L be better than 209 row A? Hi Gareth – as you have identified it will come down to specific rows and seats etc. Of those you mentioned, we’d be tempted to go with 209 Row A since Row L will be far higher up. We have restricted views for Justin Bieber block 117, Row S, seats 1-3. Are these any good? Hello, I’ve got BLOCK: 122, ROW: U, SEAT: 16,17 for Green Day. Please be honest, I’ll be joyless, right? Hi i got ticket for 4th april block 104 row b sit 25 i hope thats have good view ?? Hi Nillord, Block 104 is slightly further back as sideblocks go but your row and seat numbers are fine. Have a nice time! Hi, I have tickets for block 115, row e, seats 23 and 24, are these any good? I have tickets to mcbusted block J, row F, are these seats good? Hi Meg – these are flat, floor-seats. 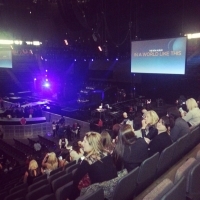 They are toward the back of the floor-seating area so they are not particularly close to the stage. Most people will stand up so you may find your view affected, if there are much taller people in your immediate line of sight. That said, most people tend to stand up and dance around in the floor seating area which means you’re not completely stuck, the stage is raised anyway and you’ll also be able to see the screens. The floor-seating blocks are also good for atmosphere so have a great time! Hi im seeing noel and got row H 116, is the view any good? 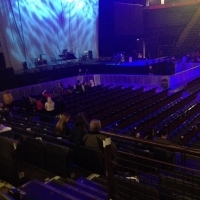 Hi John – Block 116 is of course near the front of the arena and close to the stage. Row H is fine too. It really comes down to the seat number you have since the whole block is side-on to the stage. You want the lowest side number possible ideally (less than 8) but Row H is one of the shorter rows nearer to the front of the block anyway so the angle shouldn’t be too much of a problem. Hi, I have tickets for Block 102, Row E, Seat 15 and 16. How good are these? Hi Zee – you’ll be pleased to know that in our opinion you have some of the best seats in the house! Nice and close to the stage, not too high up and a good viewing angle! I have the chance to get tickets for Phoenix nights .i have a choice of either block 115 row T .or B block row N .which should I go for ? Which are better ? I am worried that maybe block 115 are side view and block B row N is going to be too far back ? 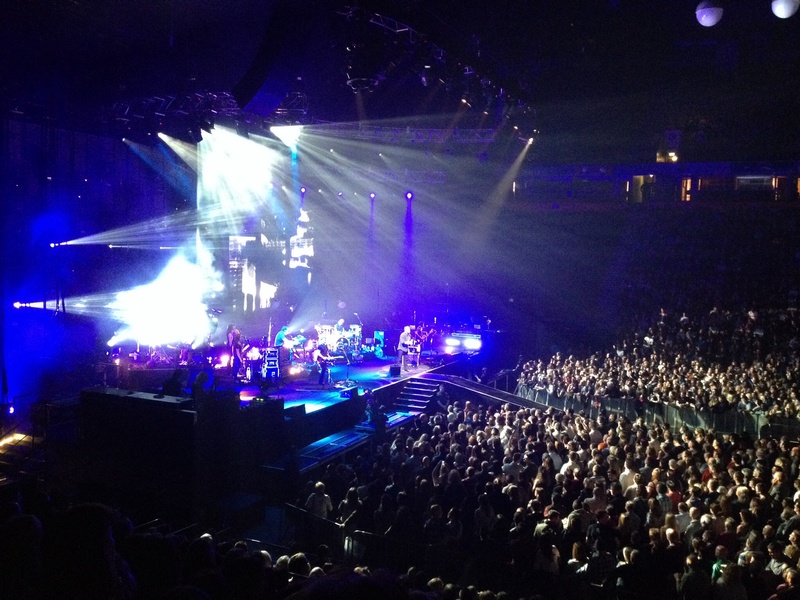 Hi Lindsey – neither set are bad tickets. We think Block 115 would be great and wouldn’t worry too much about it being a side view – in our opinion that’s only really an issue from Block 116. Seat numbers go from 1 to 28 (with 28 being the most “side-on”) so lower seat numbers would be best in that block. The only slight downside would be that, in Row T, you’d be fairly far back/high up in the block but they’d still be good seats. We’d probably take these over the floor seats. Let us know what you book/booked! Hello I bought tickets to ariana grande show block 202 row L seats 1 and 2 will I be able to see the stage wil I see ariana grande good ? Or very small ? and for tne next time where can I buy a preorder tickets? Or the best places ? Hi Roni, Block 202 is a nice position as it’s close to the stage. You will be fairly high up (but not ridiculously so). In the gallery we have a photo from Block 202 Row H which is only 3 rows further down/forward from the seats you’ll be in so check that out for an idea. Have a great night and please come back to upload a pic! Hi Anna – as far as we know the standing tickets are all unallocated general admission tickets (except that they are divided into three zones being two pits at the front (right and left) and then the general standing area behind that). It sounds like you the tickets you mentioned are in the general area so it would just be a case of turning up as early as possible and trying to secure a good spot. If you enjoy standing then that might be the best option of the two. The seats in Block 111 would be “less crammed” since everybody has their own seat but you’ll be further from the stage. Yes, you may take your drink (purchased at the venue) into the arena. Why in the picture in block 216 the first row is D ? Whatnis the first row in block 202 ?? Hi Elit – it isn’t. 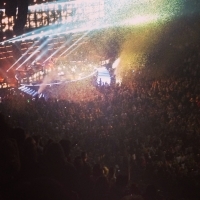 The photo is taken by somebody sitting in Row D so you can see the few rows which are in front of them. 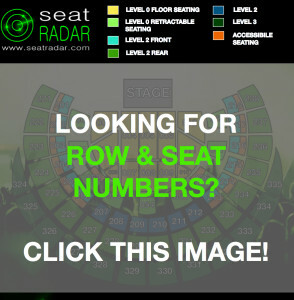 All rows and seat numbers are in the detailed seating plan you can get to in the VIP area. Hi, what is the view like from block 201, row L seats 24 and 25. Taking my 11 year old son to his 1st ever gig to see The Script. I know block 201 is a side view but is row L, seats 24 and 25 really restricted? There are quite a few seats left in this block higher up too. Don’t want to buy rubbish seats and for him to be disappointed. Thanks. 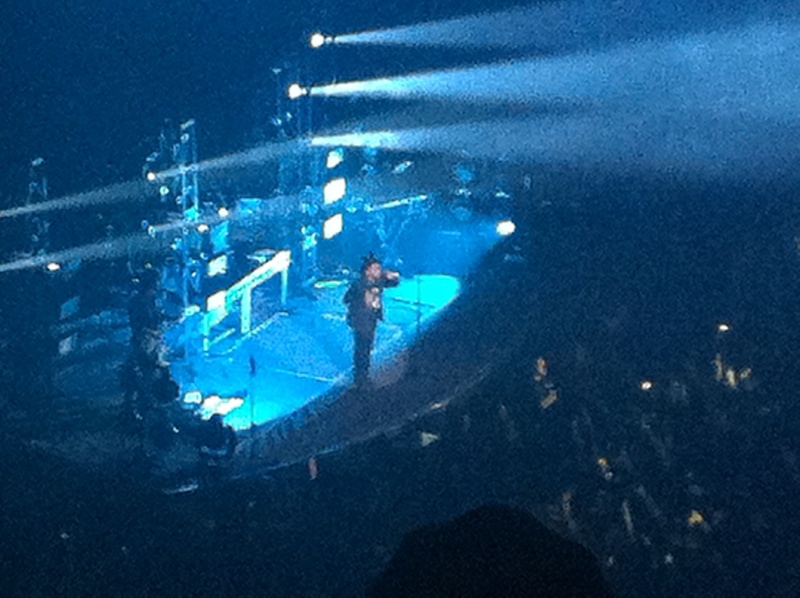 Hi Jane – your seats are about 8 seats in from Block 202 so they are not right around the side. if you look through the gallery above there is a photo (currently 4 from the end) from Block 216 Row F Seat 10 which is almost the exact mirror image of the view you will have save that you would be a few rows further up/back. Hi Elit, no unfortunately we don’t have any more photos from Block 202. The photo you’ve seen provides a fairly accurate representation of where you will be sitting. The only thing we will say is that in our experience, the distance often seems more in photos than it does in person. We’re sure you’ll have a great time wherever you are sitting! Hi, my cousin and I are going to see Taylor Swift on the 24th June 2015 (apparently she has an extended B stage) We are in block 110, row J, seats 9 and 10 do you think we’ll have a good view? Hey Chessie – angle wise it’s pretty good as you’re almost straight on to the stage so you’ll have no trouble seeing the full width and both screens Also, Row J isn’t too far back and seats 9 and 10 and on the side closest to Block 109 rather than Block 111. There’s actually a photo from Block 109 Row G Seat 6 in the gallery. Aside from being slightly more central, this should give you a pretty good idea of what you’re view will be like (pretty good – just a little far back). Are you from Manchester or travelling in? Hi Paul – everyone will have a different idea of what is/isn’t worth extra expense. It depends what else you can get and how much the difference is. We’ve certainly never come across anybody that didn’t think it was a great place to be but ultimately you need to spend what you’re comfortable with! Hi Sid – the shot from Block 102 Row P looks pretty accurate and well-taken so provides a good indication of location/angle etc. 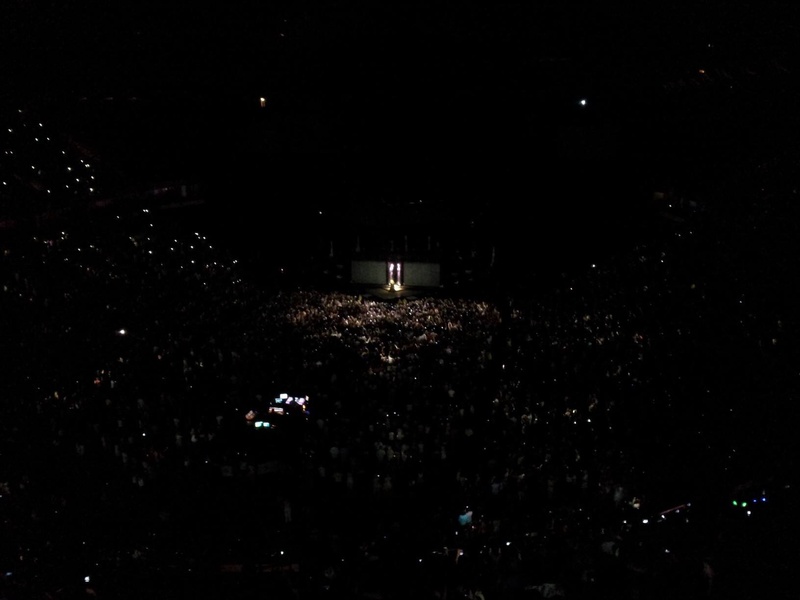 If you also look at the shot from 103 Row V that’ll help you gauge how much higher up / back you’ll be. Thanks for the advice. It’s hard to tell, but it looks as though you can’t see any screens from that block, so I’m hoping the view of the stage will be good enough! Thanks again! Hey Elit – yes you will, you have pretty good seats. It will be worth the trip Have a great time and please upload a photo after the show! Hi TAKE THAT tickets for the missis, block 205 row H seat 7-8 are these good seats or will she file for divorce? Better call your lawyer. Only kidding! They’re actually pretty decent seats. Our gallery has a photo from Block 205 Row L (think the photo is slightly zoomed in but since you’re a few rows lower down that probably gives you a pretty good idea of what you’re view will be like). We also have Block 212 Row M which is the equivalent block on the opposite side of the venue. 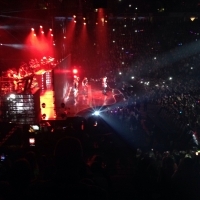 As you will see, it’s a pretty nice view and again you’ll be in a better row. So fingers crossed your lovely lady should be pretty chuffed! Good luck, let us know how it goes and it would be great if you could make a note to pop back with a photo after the show! Hi, i have tickets for one direction block D, seats 3 and 4. 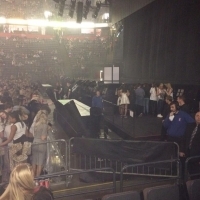 Are these seats closest to the catwalk or furthest away from the catwalk? Hi, i have tickets for one direction block D, seats 3 and 4. 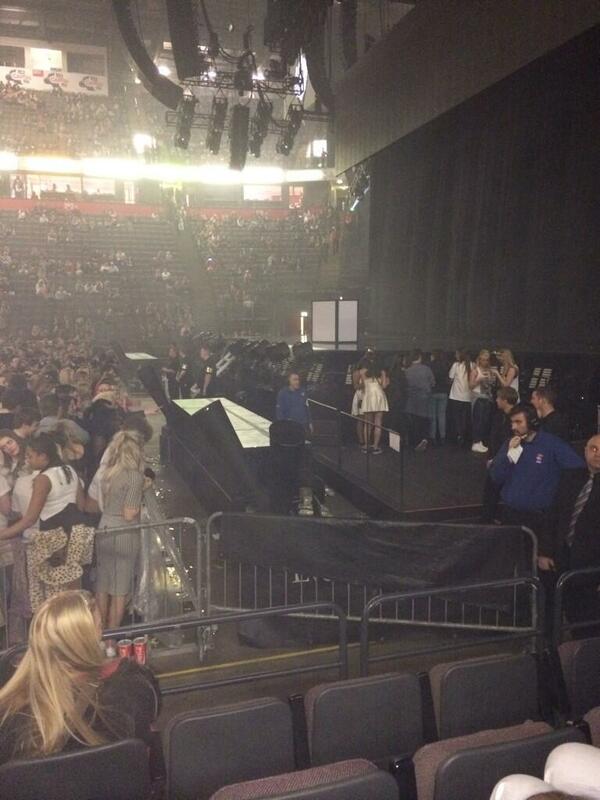 Are these seats closest to the catwalk or furthest away? Hi Martin these are very much side-on. 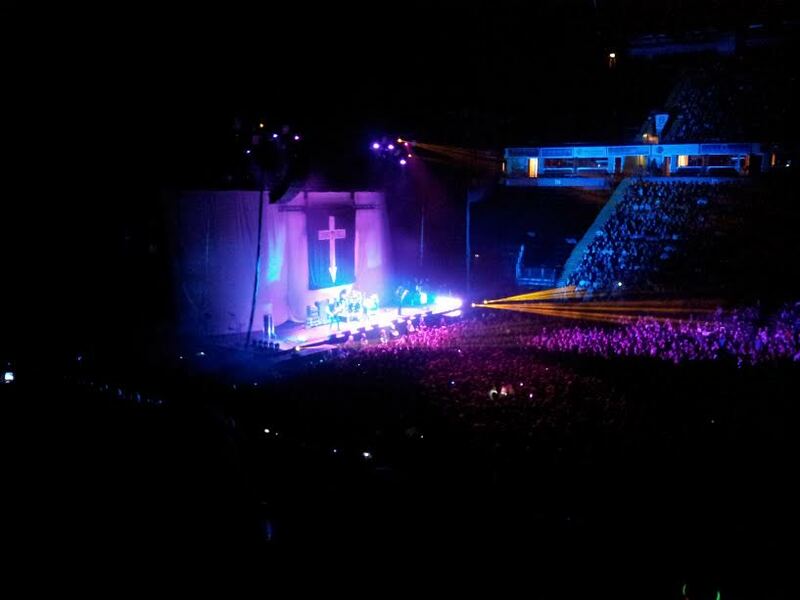 If you look through our gallery there is a photo from Block 101 Row Q which will give you a good idea of where you’ll be. However, that photo is from Seat 15. The seat numbers get lower as you go further around towards the back of stage so (unless the stage is positioned significantly differently for your show) you’ll likely be sitting roughly in line with the back portion of the stage so – in honesty – not the best or most comfortable viewing angle…Hope you enjoy the show in any event and would be great to see a photo of how the view looks on the night. 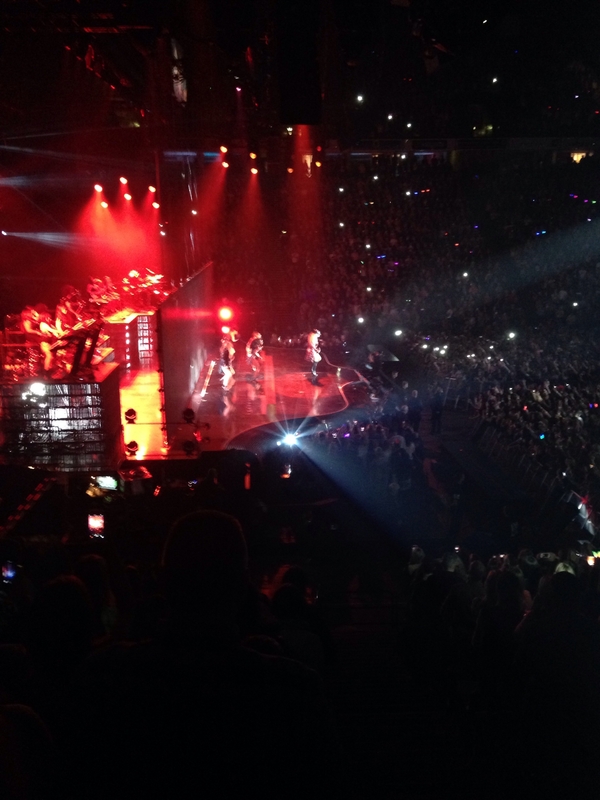 Hi, one direction tickets block 116 row T sears 3 and 4, is the view any good? How close am I? 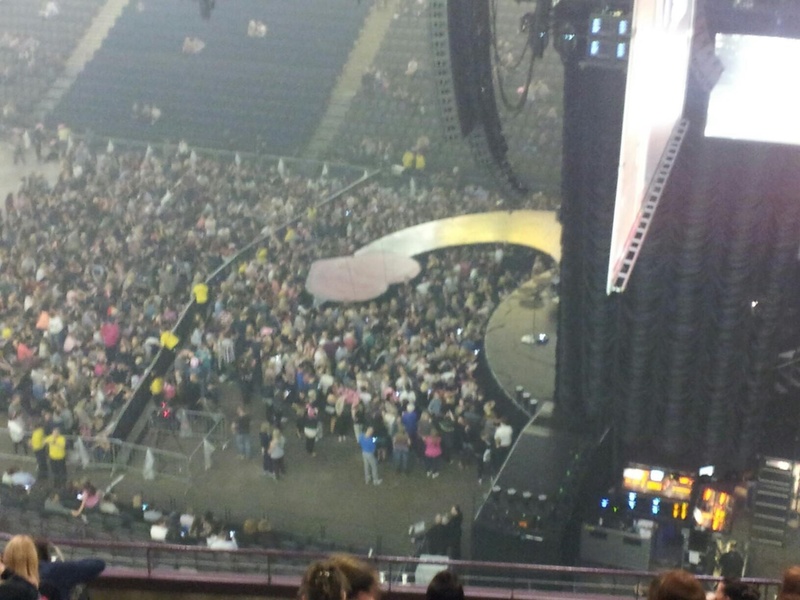 Hi Katie – Block 116 itself is very close to the stage, right next to it as you can see from the seating plan. Seats 3 and 4 are good as they are on the side towards Block 115 which helps as you won’t be as side-on as you would be in a higher seat number. In the gallery there is a photo from Block 101 Row Q which is directly opposite where you’ll be. 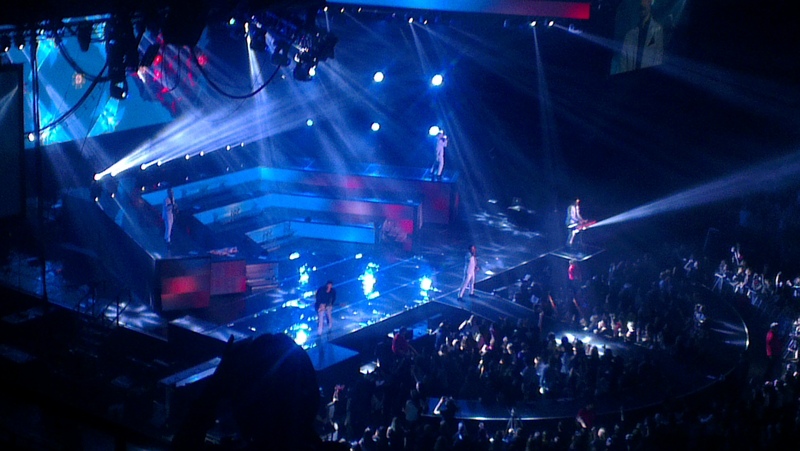 You’ll be a few rows further back/up but otherwise a very similar view – just from the other side of the stage. We think you’ll have a great time from there and look forward to you sending us a pic for the gallery! Hi just got tickets for Peter Kay Phoenix nights. got block 211 row Q 31-33 as this is a live “play” as it were. Do you reckon we will see ok? Delighted to have got tickets anyway, can’t wait to go. Check out what is currently the 8th photo from the end in our gallery. 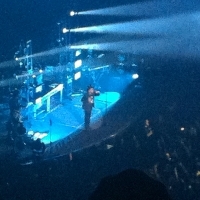 It is taken from Block 212 Row Q seat 13. Your seats are right on the aisle between Blocks 211 and 212 so your view will be very similar save that the person who submitted this photograph may have slightly zoomed in a little. Nevertheless, that should give you a general idea. 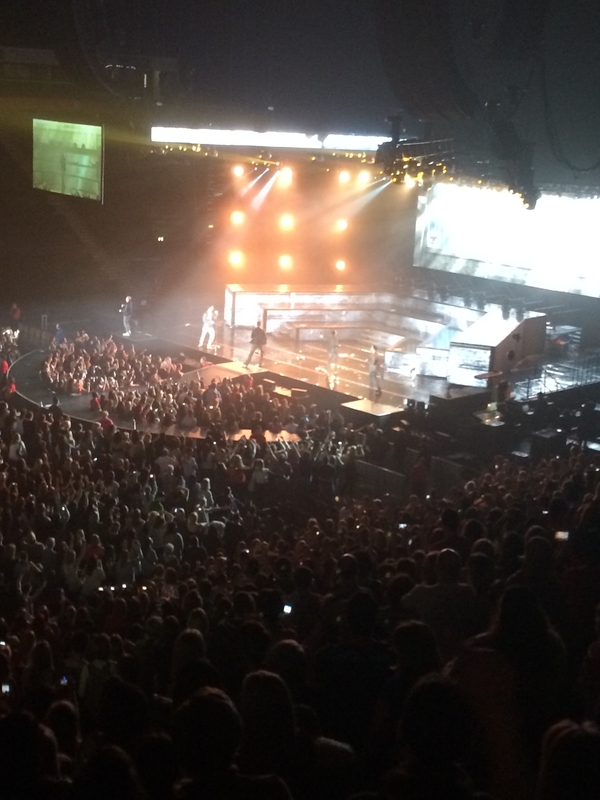 Hey Reece – they’re smashing seats! Check out the 5th photo in our gallery from Block 102 Row P. That’s essentially the mirror of the view you’ll have (102 is opposite 115) save that you’ll be 3 rows further forward! Luck you! Will you stick an alarm in your mobile to remind you to take a pic for us on the night as would be great to have a shot from that side of the venue too? Hi Jessica – have a look at the second to last photo above from Block 216. Block 216 is the other side of the arena and is the equivalent of Block 201 on the side where you’ll be sitting. The photo is from Row M so you’ll be a few rows lower. 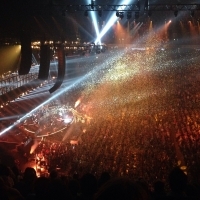 That said – if the tickets are not being sold as restricted view it might be worth checking with the venue to see if they can shed any more light about the specific setup for the TT concert. 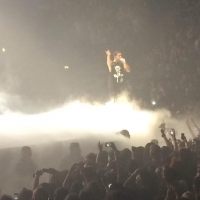 If you want an honest opinion though, they are not unlikely to be great tickets in any event….sorry! Sorry to bother you again – which seats are better do you think? 109 K 15-16 or 114 H 9-10? Hi Della – you’re current tickets aren’t bad in that they’re nice and central with a direct view etc. That said we’d probably go for the tickets in Block 114 if we had the choice. Check out the photo in the gallery which is from Block 103 Row H. That is the block directly opposite Block 114 so is essentially the mirror view of the tickets you mention above. It’s significantly closer and still a good angle etc so if that is more appealing then you’d probably prefer Block 114. Either way, it’s clear you’re a big fan and will have a great night in either location so enjoy the show and please do come back to upload a pic! Hi there, I have tickets for Bette Midler – 109 K 15-16. Are these good seats in your opinion? Will I get a good view or will she just look like a little dot on stage? Im tempted to try and buy tickets for 115, 102 or 113 thinking these might be better? What do you think? I’ve been waiting to see her forever and so want to get the best seats possible atthe most reasonable price obviously. Thank you in anticipation of your help. 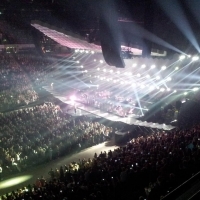 I have block 114 row G seats 27/28 for Take That. I’ve seen on plans that this block starts at row F. Is this correct and any reason for it? Are these good seats? Are these on the ground floor? Hey Nina, that’s great! 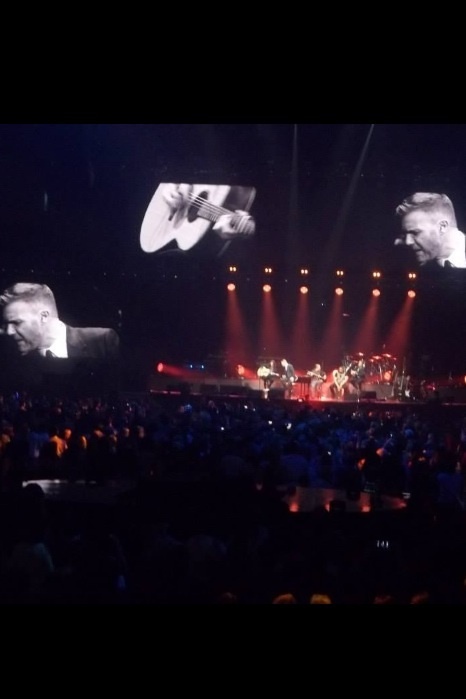 Go for Block A or C first few rows right in front of the stage or Block 2 or Block 11 Rows E to K.
i am thinking about grabbing some tickets for Take that in may 2015 but not sure if the price tag is worth it . My wife loves TT and she will love me more for the tickets (if you know what i mean ) but i haven’t been to this arena before so i am unsure . The tickets are shown as front zone standing left which i believe to be seperate to general floor standing . they also say Row A …. In my mind this sounds great but Row “A” may be at the back ?? Hi Neil – it’s not typical to have separate areas etc so we called the venue to check (in fact they ask you to call Eventim rather than the arena). The zone you’re in is indeed separate to the general standing area. 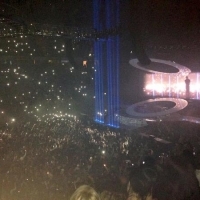 Beyond that though the advice was that standing “is usually general admission” – i.e. they were unable to confirm whether or not you’d be allocated to a specific “row” in the standing area. It would seem odd to us if this were the case – how would fans enforce it? We assume that, being a standing area, it’s not section off into rows or anything so think it would be pretty odd to have allocated positions. That said, they did seem to indicate that if they had a specific order number they could be more specific so you may want to contact them directly. Either way – we’d say your wife is unlikely to be disappointed in any case! If you can spare the cash, we’d say go for it! Get there nice and early, grab a few drinks and get those elbows ready! Enjoy…! 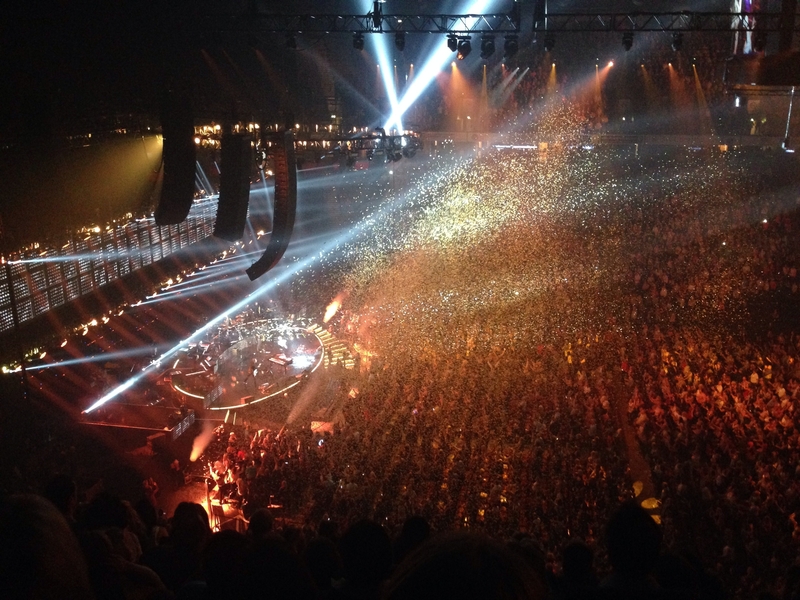 I have tickets for take that is says floor section row 22 seats 41 &42. Does this mean because I have floor section tickets it will just be a matter of arriving early to secure a good position ? What I’m concerned about is that I didn’t realise that there is a left and right front section. Does this mean that the people who are here will have the best position. Could you please let me know what you think my ticket will get me view wise, with the information I have given you. Hi Tracy – it’s very difficult for us to comment accurately on specific show layouts etc. 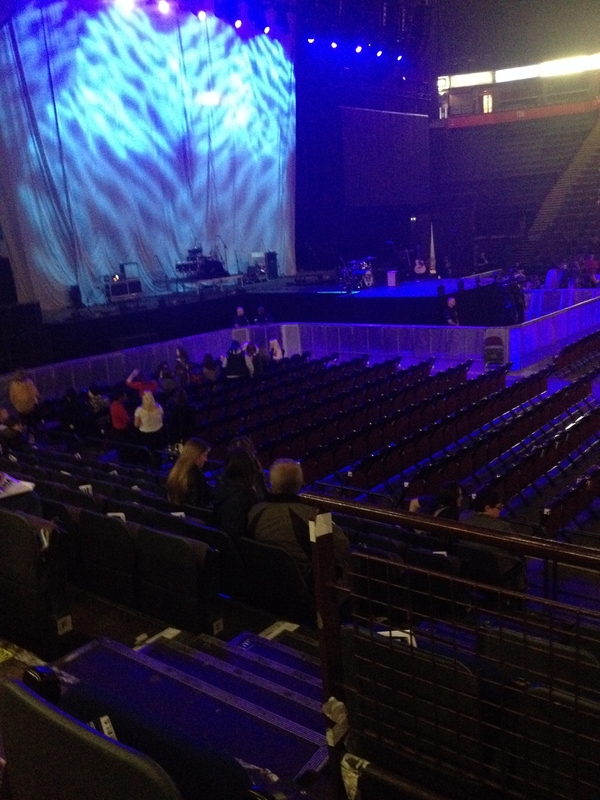 That said, you’re right about the three standing areas i.e. 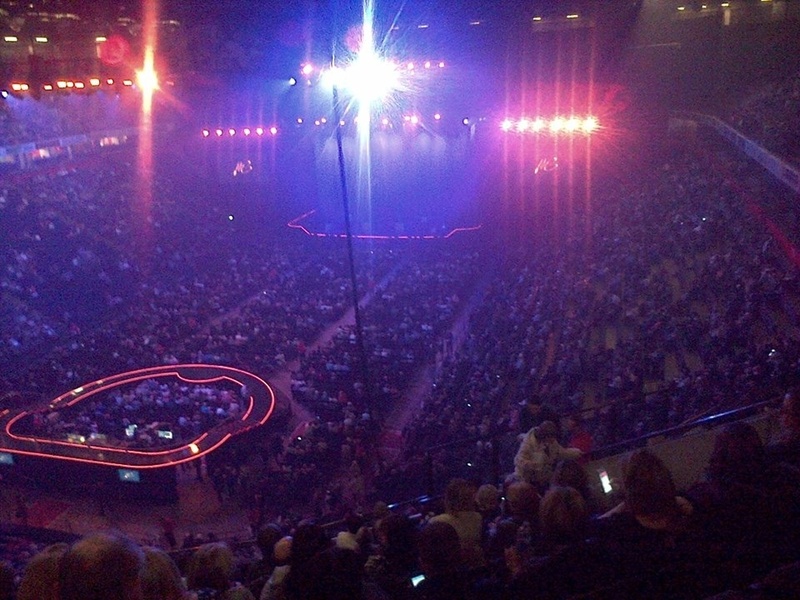 one general area and two in the front zones. We’ve been asked about this before (see our exchange with Neil on 14th November). As you’ll see we called the venue and the ticket promoters and neither were able to give specifics without an order number. Either way it seems to us that you will be in the general area and that admission will be first come first served. You won’t of course be able to get into the separate front zone areas if your ticket is not specifically for those areas. 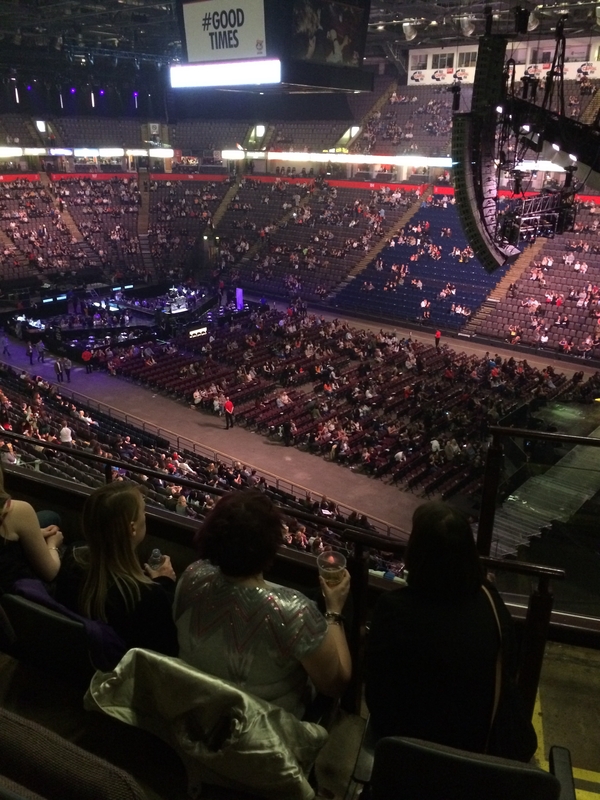 Hi, just bought tickets for take that, Manchester, block201 row n, 14-17, just hoping we will be able to see stage and screens. We realise its high, but will we be able to see? 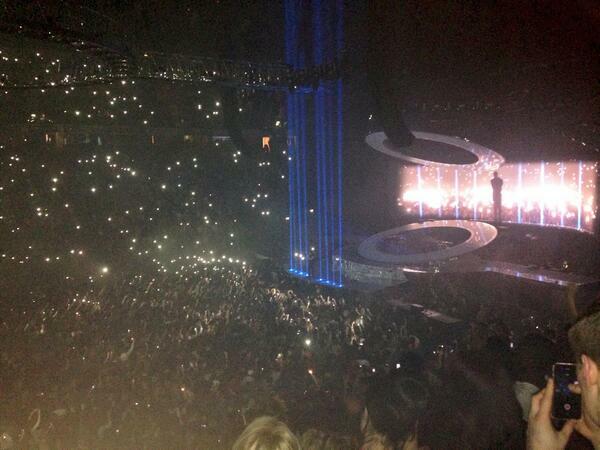 Hi Adam – yes you will be able to see although you’ll be looking down on the stage from the side. 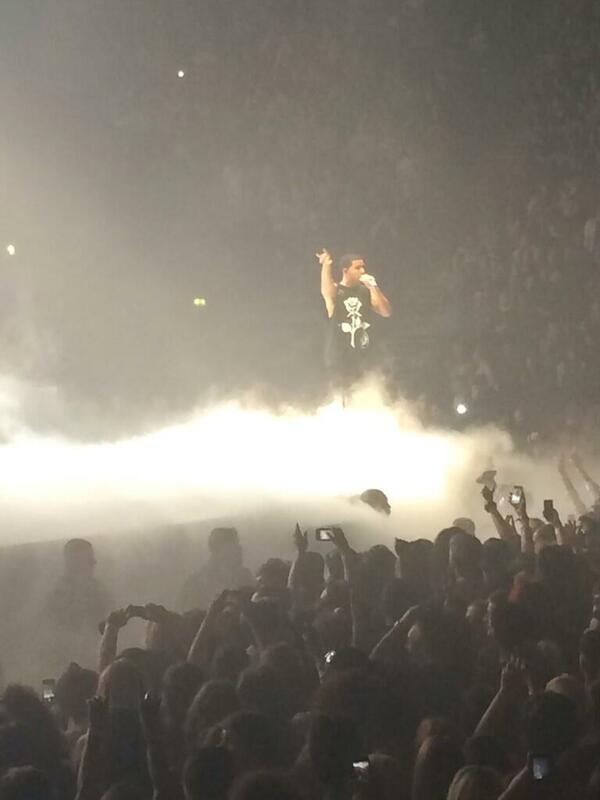 That said, since 201 is towards the front of the arena at least you’re closer to the stage in that respect. You should be able to see a screen although you’ll probably need to turn to your left to see it. If you have a look at the second photo in the gallery, that’s from seat 15 in Block 101 so the angle is essentially the same (you’re just further back and higher up). Hope that helps. Enjoy the show and please do come back and upload a photo! 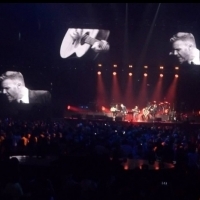 I’ve just bought 2 tickets for Take That in section BL 111 row Q, seats 3 & 4, lower tier. I’m not good with heights, can you tell me if its a good view of the stage and if I should worry about the height / angle of the seats ? Should I try for better seats closer to the stage and lower down ? Hey DazR – as for the heights/steepness etc it’s quite tough to describe, especially since everyone has a different idea of what is high/steep etc (!) so you’re best bet is to look through the gallery above at the photos from other locations in the 100s and see how you feel. 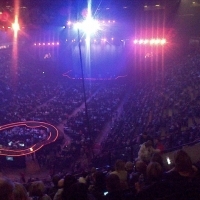 As for your view of the stage, you’re towards the back of the arena but if you look at pics from that general area (e.g. from Block 108) you’ll see that the view’s still not bad from a distance perspective. As for the angle you shouldn’t have a problem, won’t be too angled since you’re seats are at the start of the row (i.e. close to Block 110). Hey Lynn. Side on but not behind the stage. It’s a nice place to sit if you don’t mind the side-angle (we don’t) as it’s close to the action. Check out the second photo in the gallery above which is from Row Q of Block 101 for a rough idea. Have fun and we “pray” that you “never forget” to come back and upload a pic! Hey Woof! Maybe the best comment we’ve had, great spirit! Even better is that you’re seats are totally fine, there’s actually a photo from that Block in the gallery and you’ll have a better view as your several rows further forward! 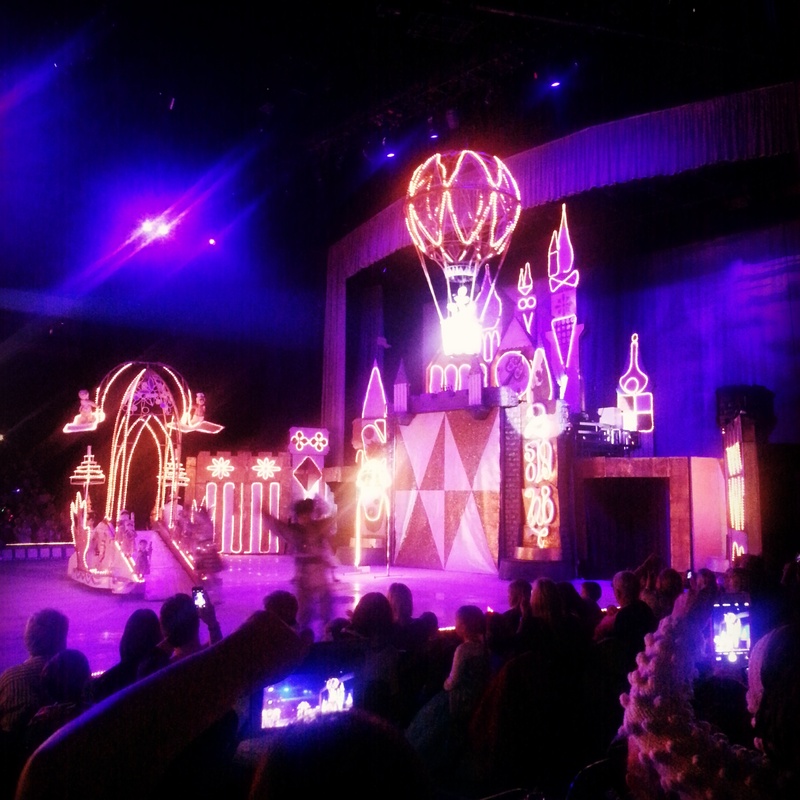 Enjoy the show and remember to come back and upload a photo! 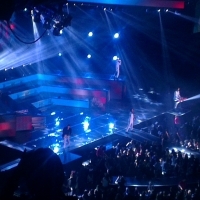 Hi Jo – it varies with each performance depending on how the stage is set up. They don’t always sell tickets in all of Block 117 but if they have (and unless they were actually sold as “restricted view”) this should mean that they have determined that the line of sight is acceptable for the particular show. 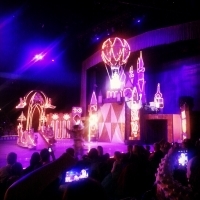 You will of course have a side-on view and this can mean you don’t get the full effect if there are light-effects/videos etc playing directly behind the act on stage. 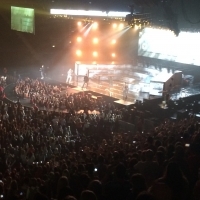 On the plus side you’ll be a lot closer to the lads than people with a straight-ahead view from the very back of the arena so it’s all swings and roundabouts! 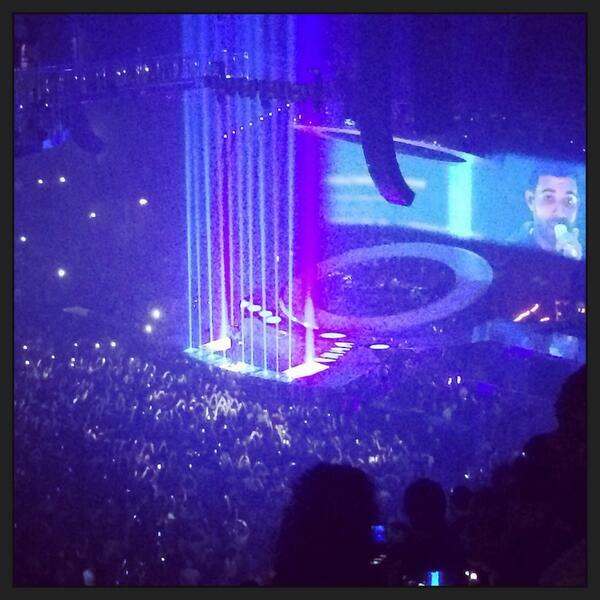 Enjoy the show and we’d love to put up a photo of what your view was like on the night! Which date are you going to? 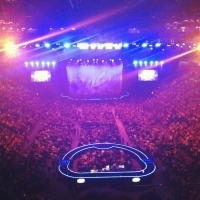 Hi I’ve just bought Take That tickcets on block 101 row m, what is the view like? My cousin has got two pairs of tickets in different blocks for Taylor Swift and he’s given me first choice on which pair I can have. Which ones would give the better view? Block 205, Row D, Seats 1+2 (seems to be slightly closer to the stage and also end seats if that’s an advantage?). 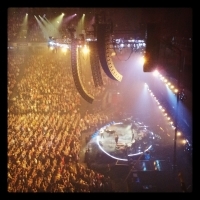 Block 209, Row C, Seats 9+10 (further away but more central view of the stage – and closer to the B stage!). Hi John – very little in it really. It’s great to have a straight-on view from Block 209 but the angle from 205 is fine anyway so we’d probably lean towards being closer to the stage. Not sure that 209 is much closer to the B-stage to be honest and from 205 you’ll also have a better view along the catwalk that connects the two. So on balance, probably 205 although it’s a very close-run thing. HI ive just bought Taylor Swift tickets row 206 row r 30-33. Firstly i’m scared of height does it really feel high up and secondly will i see anything from there. 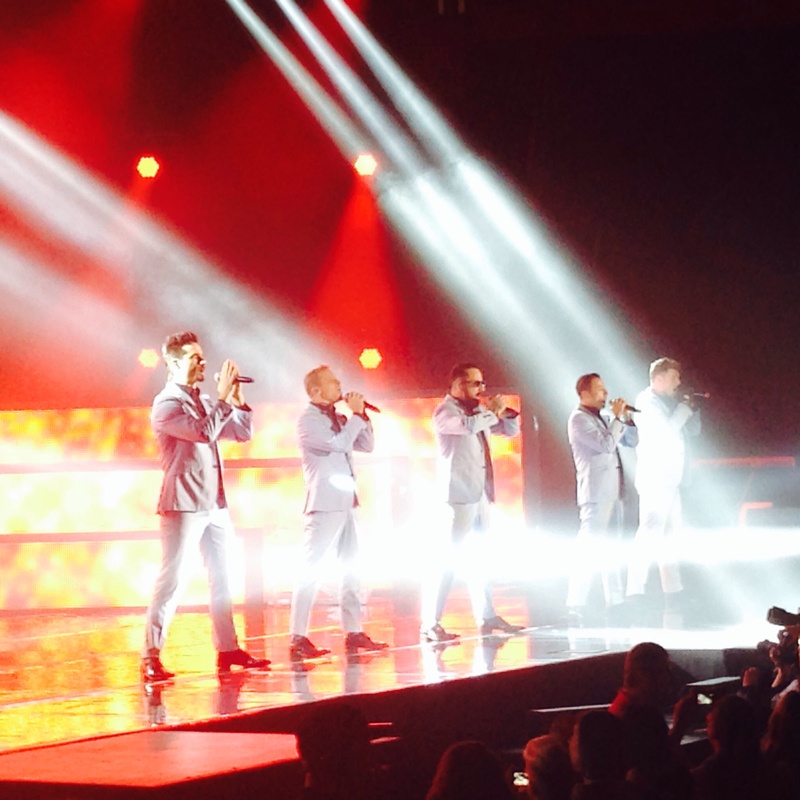 As for the heights – that’s hard to say as it really depends how scared you are! 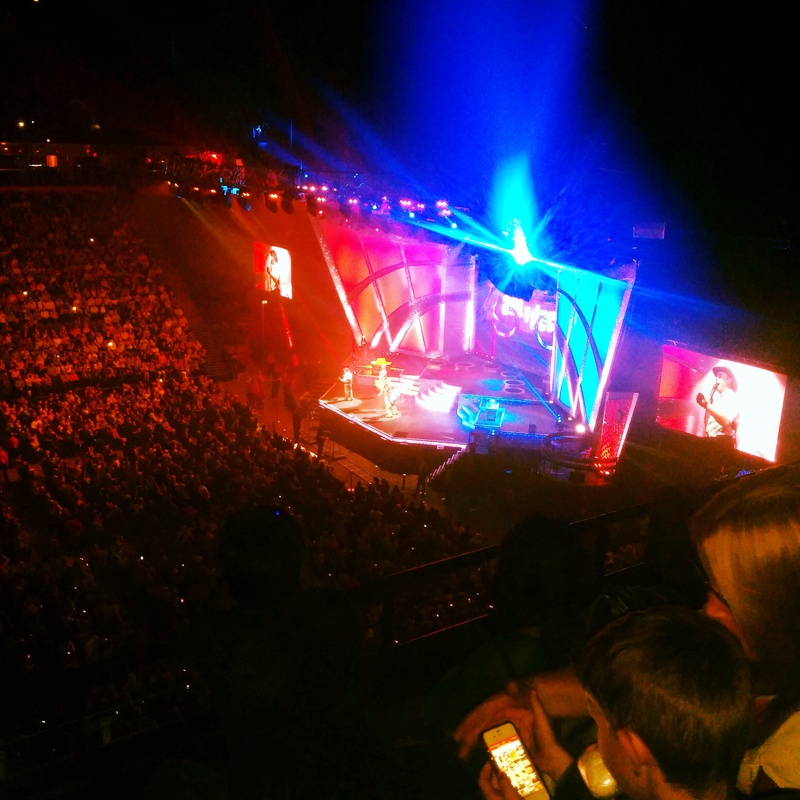 If you’ve ever sat in the upper tier of another venue you’ll probably be fine here too. 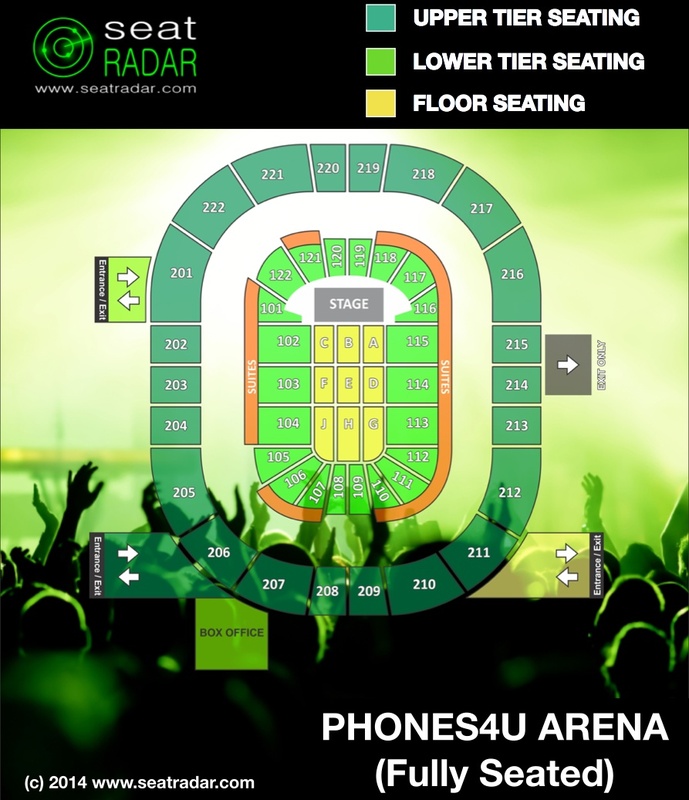 Hi, I’m thinking of getting 2 tickets for a Nicki Minaj concert, Block 104 row A, is that any good? Or what about Block 113 row H. Which one do you think is better? 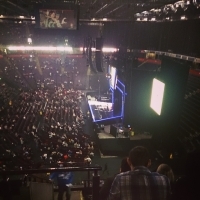 Hi Tosin, they’re ok – pretty average seats. Slightly further back in the arena than one might choose if given the option but they are in the lower tier which is great. Blocks 104 and 113 are directly opposite eachother so go for Block 104 Row A.
Hi I have bought tickets for taylor swift in tier 222 row A I’m worried that I won’t see much ? Hi Heather – we’ve seen a photo from there although unfortunately not uploaded yet. 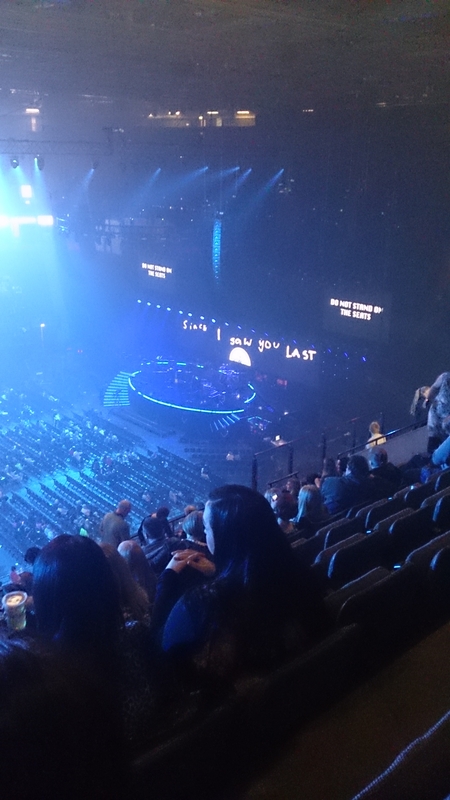 You’ll be sat side-on to the stage but the view (in our opinion) is not so bad that you need to worry or that you won’t enjoy the show! Would be great if you could stick a note in your diary to come back and upload a photo after the show as this block comes up often! Hi coming to see war of the worlds on the 30th Nov. We are in BK 202 row G seats 25 and 26 are they good seats? 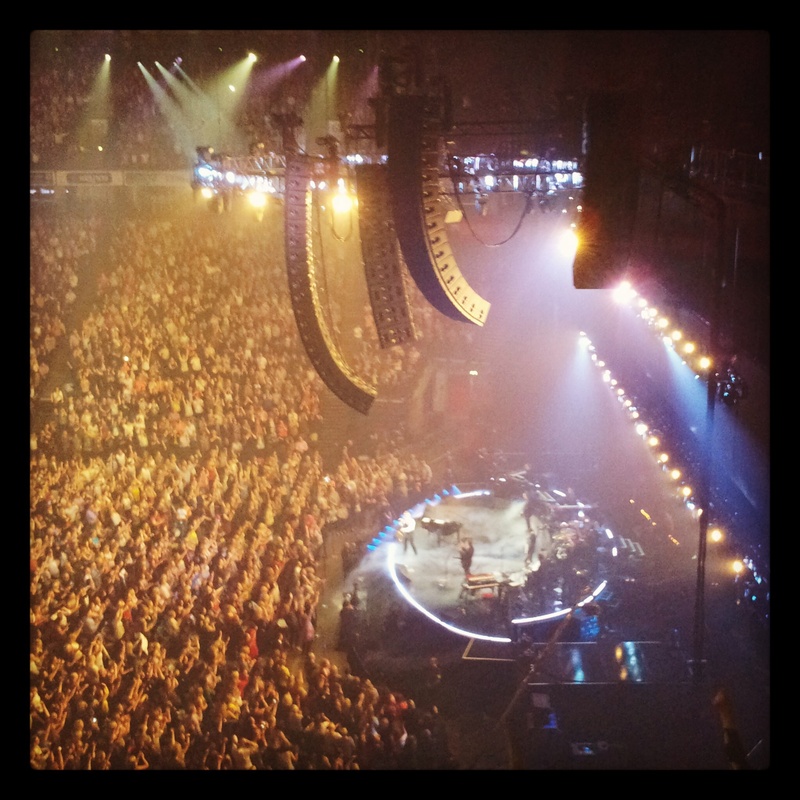 Hi Debbie – we’ve actually got a photo from Block 202 Row H above, check it out! 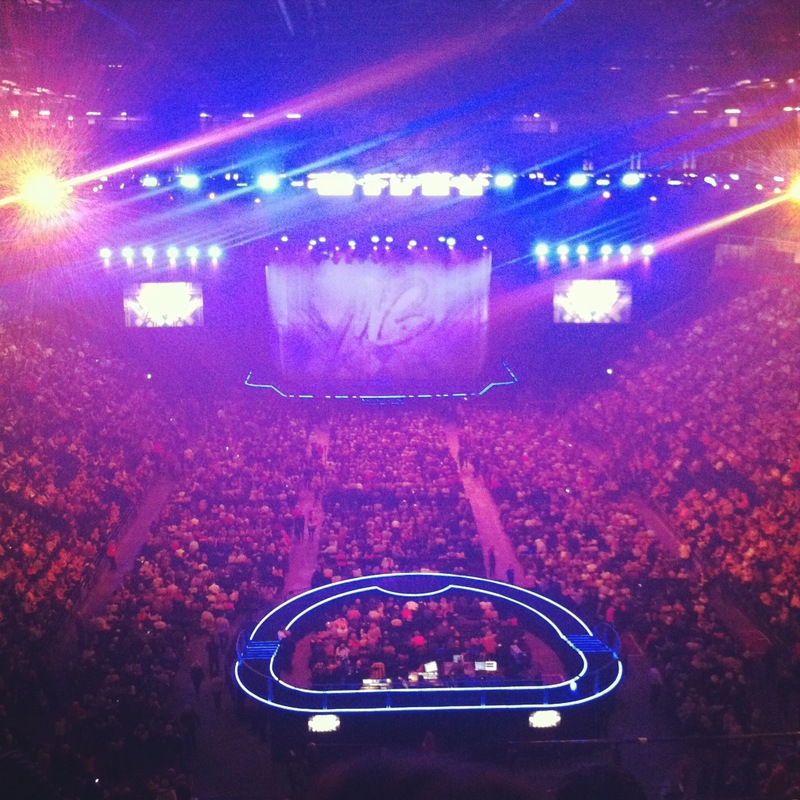 Not bad seats Please do come back and upload a photo after the show! Hey Hannah, if you look above there’s a photo from Block 205 (4th row 3rd in at time of writing). That’s from Row L and you’ll be a few rows further back (Row R is the last row). Also, the person that submitted that photo does seem to have zoomed in a little. Also take a look at the first photo in the 2nd last row as that’s from Block 212 which is the mirror image of the view from 205 (i.e. it’s the equivalent block on the other side of the arena). Hope that helps! Would be great if you could come back and let us know & upload a photo? Hey Andy – you’re on the side of the block nearest to block 204, so that’s good and you’re not too many rows back. Clearly not the best seats in the house but by no means a disaster! Would be perfect if you could take a nice/clear unzoomed pic and upload it for the gallery? When/what’s the show if you don’t mind us asking? We certainly can! The concert will be fully seated so check out the “Fully Seated” plan (the first one) above. Your tickets are in Block E which is in the floor seating area. It’s in the middle block in the second “row” of Blocks. Your specific seats are in the final row of the block (shouldn’t be a problem) and are the last two next to the aisle on the right hand side (great for getting in and out easily!). Overall, they’re great seats you should have an awesome time! Enjoy and please upload a photo! I just bought some standing tickets for The Script but they have a row and seat on them (when they shouldn’t). Row 15 seat 34. If I bought standing tickets wouldn’t I be able to sit anywhere in the Floor area? I’m not british and it’s my first concert here, I am a bit unaware of how things work. Thanks! Hi Emily. 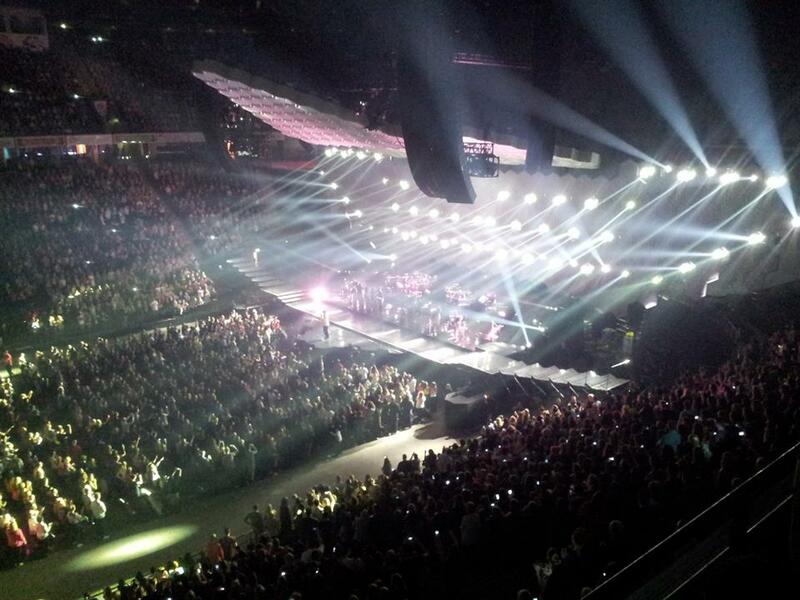 Our understanding is that the Script will have a standing area (without seats), so that’s probably where you are. Does the ticket say “GA” on it anywhere (this means general admission). We’ve sometimes come across standing tickets are still given row/seat numbers etc for two reasons: 1. to keep track of inventory (i.e. how many tickets sold); and 2. sometimes this is to control entry/exit etc i.e. everybody with “seat numbers” 0 – 200 to go in first or into a specific section etc. It is a bit confusing though we’d agree! Hope that helps – please do let us know what turns out to be the case on the night so that future concert-goers can know for sure! Thanks and remember to upload a stage view photo from the night! Today I bought tickets and the row letter is on it but the seat is listed at GA !? What does this mean as I’m in a block too? And I know this block is all seats? Hello I’ve just bought linkin park tickets ROW Q BL 211 seats 21/22 not sure where this is on the map but doesn’t look too great could you confirm my fears please? Hi Ste – Block 211 is upper tier in the top left hand corner if you were looking out from the stage. The seats are pretty high up and you are in the second-last row. 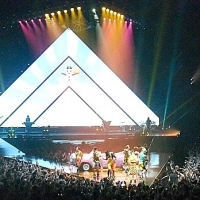 Nevertheless, the viewing angle is not bad you should have a clear line of sight to the stage and any screens. Check out the first photo in the second last row above (from Block 212) to get a rough idea. Hope that helps and please do come back and let us know (and upload a pic!). Enjoy! Brilliant!!!! Thanks a lot will post a pic too!! Hey Natalie! To the best of our knowledge the front and second rows of Block 7 are flat (i.e. same level as the rink) and this could mean a small child might struggle to see properly. We believe (although unfortunately we are not 100% as this answer is based on the layout at a previous year’s show at the same venue) that from the third row back the seats are somewhat tiered so should be less of a problem provided you are not sitting behind somebody very tall! Hope this helps and we will try to update this answer if we can get any further information. Have fun! Hey Olivia! Row 104 is slightly further back in the stadium but the 100s are all pretty decent as not too high up. Row N isn’t too far back in the block and the seat numbers are ok too. 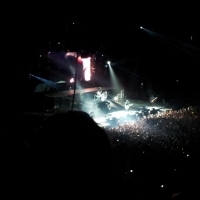 You should have a clear enough view of the stage and at least one of the screens Have fun and remember to upload a pic! Thanks and will do. I found tickets in Block 102 row G.
Hiya, I’m looking at tickets for All Time Low and You And Me At Six. I found some in block 104, row N seats 19-20. Are these any good? Hey Shaunna we’ve since spoken on Facebook (facebook.com/seatradar.com) but just to recap for anyone else reading they are in the highest tier, in the rear/left hand corner of the stadium. We don’t have an exact photo but we do have some photos from nearby locations (see above) which should give you some idea of what your view will be like. 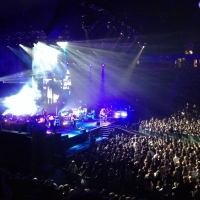 Have fun and don’t forget to upload a pic from the night to seatradar.com! Hey Debra! It will be in the higher level since it’s in the 200s but the viewing angle isn’t bad (there’s a pic from Block 212 Row M) above and you’re only two rows back so it should be fine! Also, seat 16 is right in the centre of the row so that’s ok too! 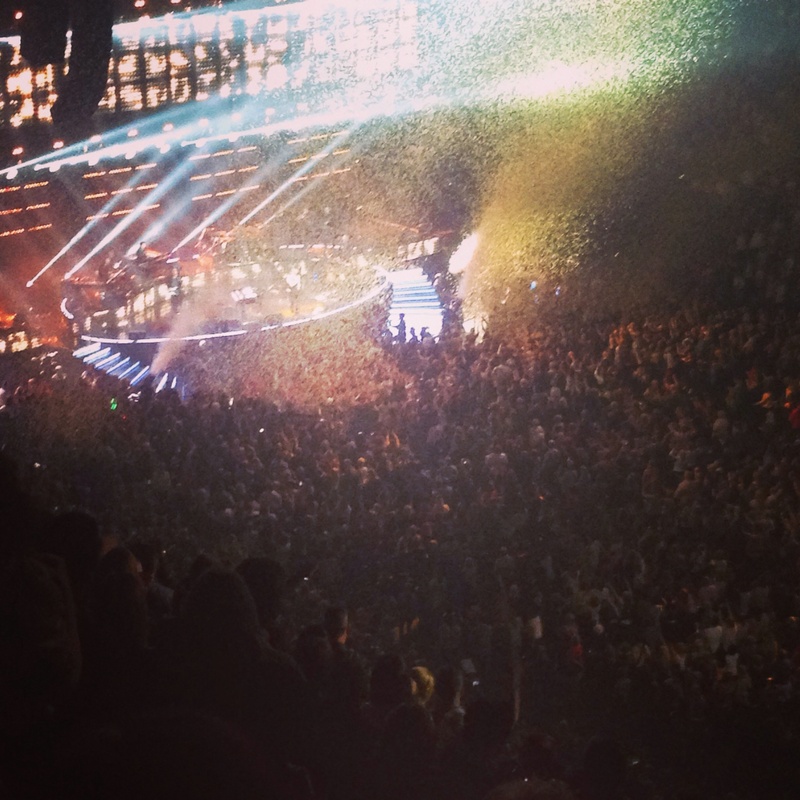 Have fun and we’d love to see a photo of what your view looked like after the show! I am going to ant n dec on sat 16th my seats are block 212 row b seat 16…. r these any good? Hey Tracy! 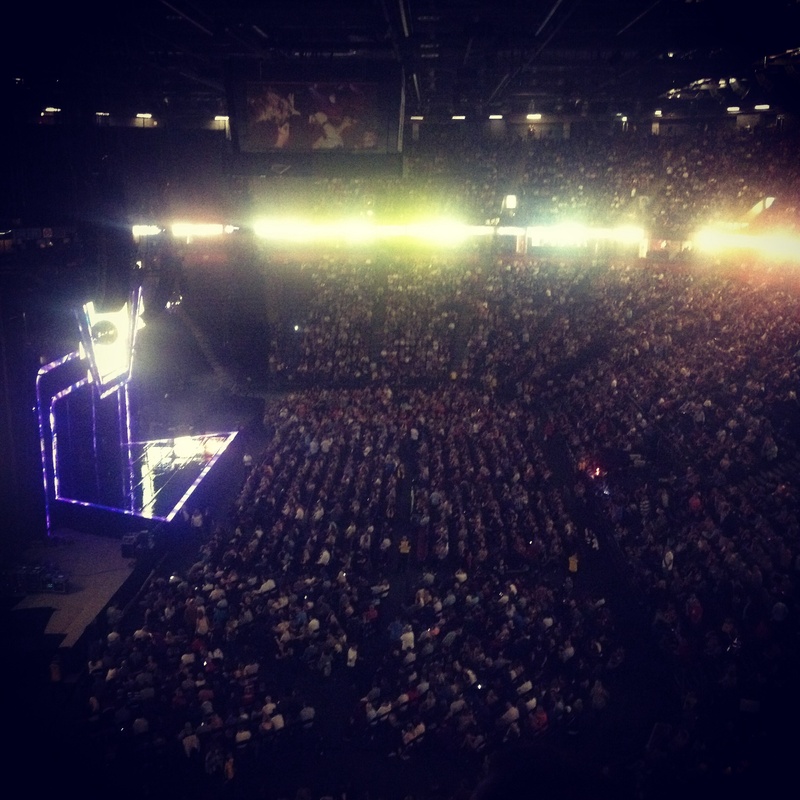 First of all, good job getting tickets, Lee Evans is great live! The good news is that the stage will be set up differently to usual (side-on instead of end-on) so Block 222 should offer a pretty good view. We’ve put more details, including the seating plan, on our facebook page (please like it and stay in touch!) http://www.facebook.com/seatradarcom. If you look above, the photo from Block 205 is probably the closest to the viewing angle you’ll have on the night (although it seems the pic may be slightly zoomed in). Have a great time and remember to upload a photo to seatradar.com after the show! Hey Ross! The row nearest the standing area is Row A, it then goes back up and away from the standing area in alphabetical order so that Row P is 15 Rows back. If you look through our photos above, there is a shot taken from Row R in Block 114 which is directly opposite 103 (so it’s virtually the view you will have just from the other side of the standing area). Hope that helps, let us know how you get on (twitter: @seatradar) and make sure you send us a photo after the gig! Looking at tickets for Linkin Park on 22nd Nov. I can see Block 103 is available, it’s kind of side on to the stage but I’m not sure how the row numbering works. Where is ROW P is it near to the standing area of father back. Full placing is Block: 103, Row: P, Seat: 20,21. Hi, we are coming to ant n dec show on 16th. There are 16 of us in row H n J when I booked she said there was no row i is this correct? Hi admin I have just bought tickets to see arianna grande because my daughter wanted them, We have block 116 row w seat 1 and 2 and the ticket place wont let me order or cancel.